Did anyone see Studio 5 today... you would have heard the blogger buzz about a woman named Emily Matchar a writer from Chapel Hill, NC who is a self proclaimed feminst athiest woman who is obssesed with reading "mormon housewife blogs." Here's a link to the article, it's pretty interesting. I guess I don't really take have reason to be offended by it, it's quite uplifting and positive (surprisingly.) Thanks to my mom calling this to my attention. It is food for thought. I'm in love with cupcakes as you know and will be teaching a class on them Feb. 8th @ my ward's young womens... thought these free printable downloads were cute, just wanted to share. Sure wish you were a little closer!!! 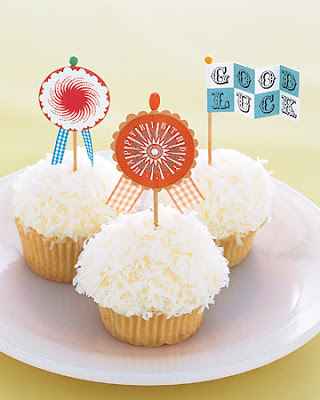 I would love to give Samee's Drill team some good luck cup cakes!!!!! That was a good article. Love that you have a button on the side to NieNie's blog. (Which was mentioned in the blog!) Thanks for sharing.